Miss Lily Hartley is the anonymous mastermind behind the ton’s latest obsession: The Debutante’s Revenge, a tell-all advice column for young ladies. To keep her identity hidden, Lily delivers her columns disguised as a boy―which is well and good, until she lands in the middle of tavern brawl. 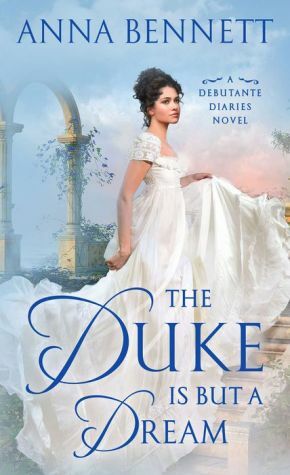 As luck would have it, a devastatingly handsome duke sweeps in to rescue her. While she’s dressed as a lad. And a bit dazed from a bump on the head. He has no idea who she is.